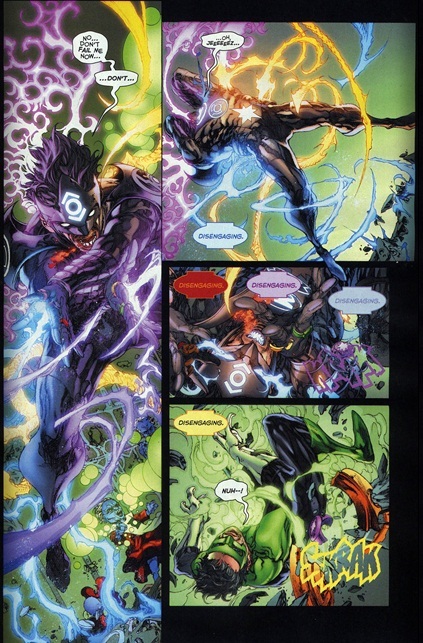 On the planet OA Kyle Rayner of sector 2814, Earth has accessed all the powers of the emotional spectrum and with it battles the Guardians of the Universe. As he gains the Upper Hand he loses control of the power and collapses. The Guardians try to expel him from the corps by removing his ring but cant. 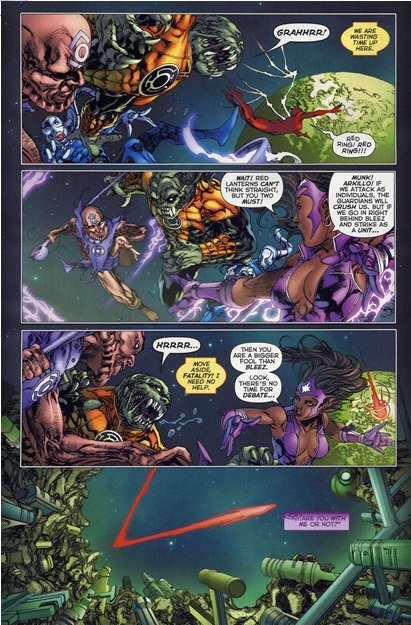 Fatality and other ring bearers arrive in OA’s orbit and Fatality quickly takes charge of the team and leads them straight to Kyle Rayner. The Guardians overwhelm them but are saved by the timely arrival of Agent Orange who declares they all belong to him. 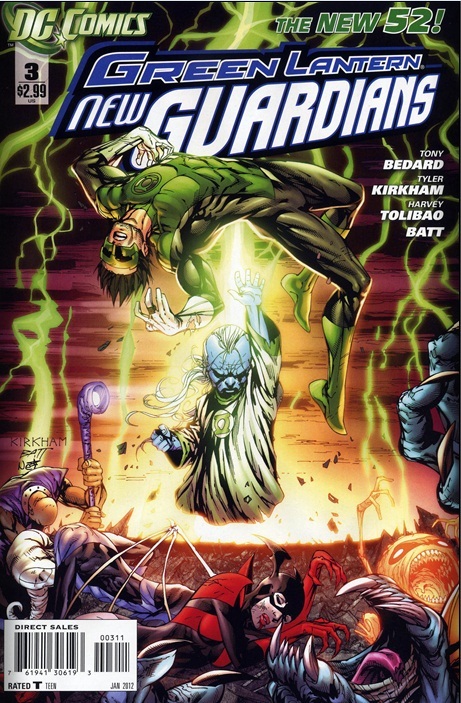 Cover- Kirkham, Batt & Ruffino turn in a lovely cover showcasing Ganthet and Kyle while all the other coloured lanterns lay at their feet defeated. Mystery- We all know Kyle is one hundred times the Green Lantern Hal is but why is he a ring magnet? Why can he wield all the power of the emotional spectrum? Sure we know he was Ion at one point and was essentially God but with the recent reboot we have no clue if this is still applicable?! Tony Bedward you have opened the flood gates of never ending questions by putting Kyle in this situation, we salute you and wait on the inevitable explanation! Art- Tyler Kirkham and Harvey Tolibao throw down in the art department and we get some pretty good art complimented by the dynamic colors of Nei Ruffino. Action- Rejoice comic fans fights abound inside! Slow- Tony Bedward like Brian Michael Bendis is obviously writing for the Trade Paper Back market and thus the story won’t make much sense as a one off tale but only when all pieces are gathered.